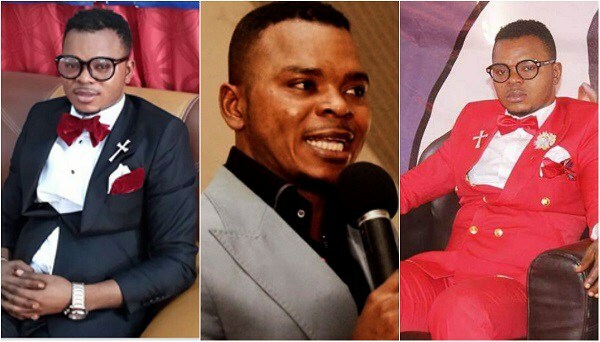 Leader of the International Godsway Church, Bishop Daniel Obinim, has come out to say that Ghanaians should not put blame on GRIDco and ECG for the nationwide power outage that befell the country on May 3. According to him, his father, Jesus Christ, called him on whatsapp to discuss to pertinent issues with him. Considering how big his father is, Whatsapp in close to a dozen countries had to shut down for them to have a healthy community. In Ghana, which is where he is located, the lights had to go off because the voice of his father was too much for lines. His white Range Rover , with registration number obinim 1-14, knocked someone last year while the driver, Kwadwo, was dropping his kids off at the British International School in Accra. According to him, his father was trying to reach him on the radio system in the car but when he realised it was the driver, he crashed the car. He further reiterated that both ECG and GRIDco can never tell the exact reason why the lights went off and that is testimony enough that what he is telling us is the truth. At about 9:40pm on Wednesday (May 3, 2017) Ghana experienced a nationwide blackout. Many Ghanaians took to social media to comment on the development. The Nana Addo-led government has also faced some attacks especially after they criticised the then Mahama administration for dumsor. Meanwhile, Mr Amuna said that power has been restored to about 70 percent areas in the country after a nationwide blackout on Wednesday (May 3, 2017). Disclaimer: This is a satirical content and must not be taken serious.